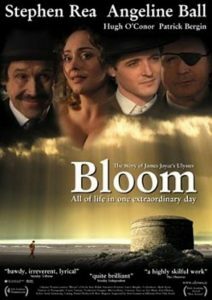 Set in Dublin on June 16, 1904, the events James Joyce chronicled in Ulysses detail a single day in the lives of Stephen Dedalus and Leopold Bloom, which parallel the story of Homer’s Odyssey. and their constant getting throw up on his leg. all buried down at the foot of his bed. I have kept that copy of the book with me throughout my life and made several more attempts to read it, much like trying to run into a shallow lake, slowing to a crawl each time as the water grew deeper until finally giving up and slogging back to the shore before drowning. On November 1, 2012, I began serving a 45-day jail sentence for contempt of court. It was a life-changing experience that I was determined to shape into a pearl. I asked a friend on the outside to send me a copy of Ulysses and she added a copy of James Joyce’s Ulysses: A Study by Stuart Gilbert. My pod mates were quite impressed that I could actually read two different books at the same time. And read them simultaneously I did, comprehending all 786 pages of Ulysses at long last. I read 15 other books, practiced yoga and tai chi for a few hours each day and on December 15, 2012, the steel doors opened and I exchanged my orange prison clothing for the garb I had entered with. I thanked everyone for such a wonderful and liberating experience and then walked outdoors to remember what the sky looked like. With Gilbert’s guidance and a riveting environment to promote my concentration, I feasted daily upon a rich Irish stew that consisted of 18 episodes, much written in a stream of consciousness that I learned to adore. The psychedelic, poetic writing style had the capacity to bend bars of steel and set me free. I had an escape hatch. Now, in 2017 I am once again immersed in my second reading of Ulysses, doing so with a circle of highly intelligent and literate souls in the Burlington Writers Workshop. Several of them have devoted their lives to literature as students, writers and academic professors. A few of them are unforgivingly contemptuous of Joyce. One of them just quit the group as we approach the Sirens and Cyclops. Another is teetering, about to fall. 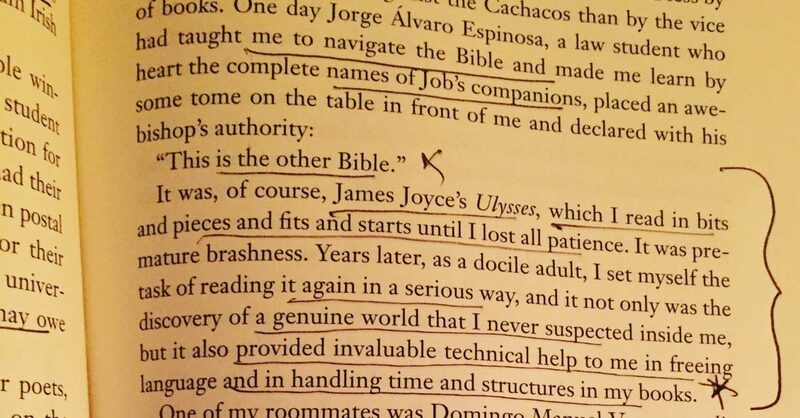 Reading Ulysses is like running a marathon in Tokyo. It is not for the weak of heart. Joyce pulls rugs out from beneath feet in each chapter, shifting styles and narrative voices with no regard for the pursuing reader. There are no street signs in Japan. You are lost without a map. Joyce abuses the reader with Latin, French, German and Italian dialogue, uses words in English that you may have never heard or read, and frequently adds in his own made up language. One member of my recent circle describes the reading as a sadomasochistic experience. The following schema was produced by James Joyce, in 1921 to help his friend, Stuart Gilbert, understand the fundamental structure of the book. I was also delighted to have a pornographic novel in jail, banned as obscene in the U.S. for more than a decade after publication. Originally released in serial form in 1918-20, it was published in Paris as a complete work on Joyce’s 40th birthday, 2/2/1922. In the United States v. One Book Called Ulysses, U.S. District Judge John M. Woolsey ruled in 1933 that the book was not pornographic and therefore could not be obscene. Aaron Coburn, another member of the Joyce reading group, speculated on a relationship between the ever-changing structure of the Beach Boys’ Good Vibrations and the stylistic variations in Ulysses. 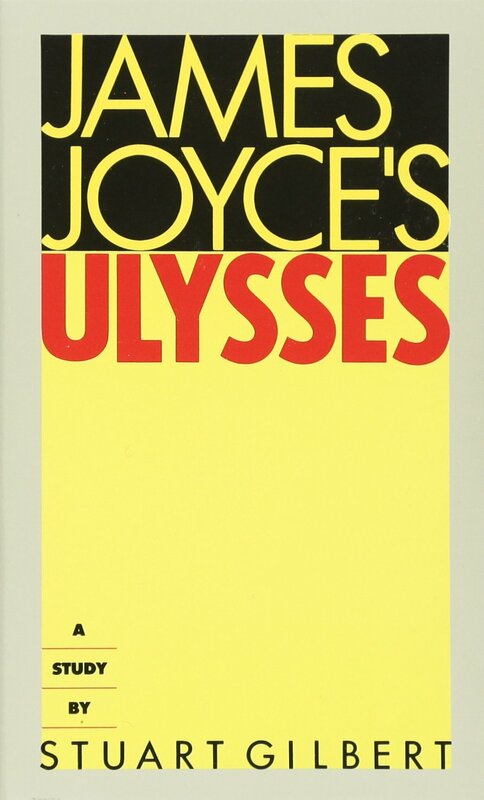 Joyce spent more than ten years writing Ulysses. Brian Wilson recorded and spliced over 90 hours of tape to create a 4:15-minute pop song. 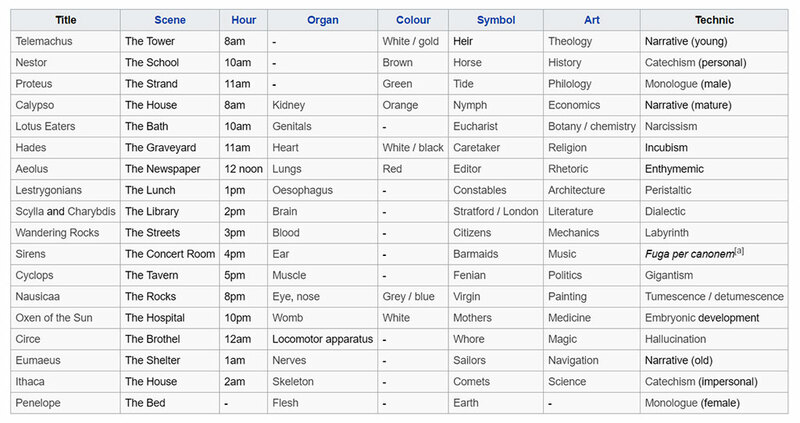 If you plan to read Ulysses, The Joyce Project provides an online edition that is a terrific resource, explaining many of the occult and obscure phrases and references. There is also a set of Annotations to James Joyce’s Ulysses that will prove invaluable. 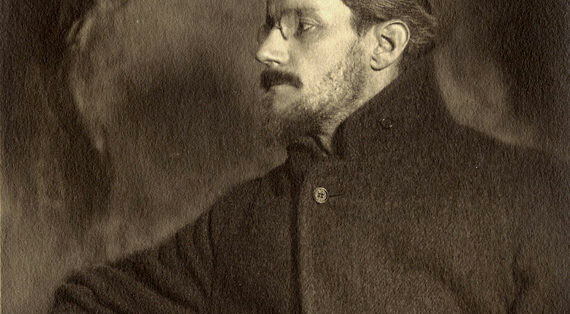 The Leonard Lopate Book Club Presents: Ulysses “The Greatest Novel Never Read” dedicated to reading James Joyce’s epic Ulysses. The late author and broadcaster Frank Delaney unravels Ulysses in his series of 368 short podcasts. His book, James Joyce’s Odyssey: A Guide to the Dublin of Ulysses re-creates Joyce’s Dublin of the early twentieth century, comparing it with the modern city. If all else fails, watch the movie: Bloom (2004) starring Stephen Rea, Angeline Ball and Hugh O’Conor. 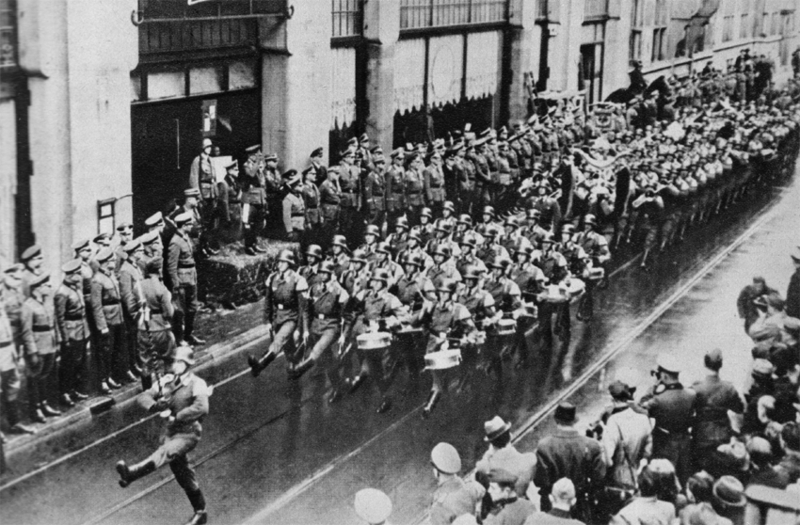 Bloomsday is celebrated each year on June 16 all over the world.